NAIOP New Jersey's Master Sponsor Program offers you the opportunity to make an investment in year-round visibility at NAIOP NJ seminars and select events while writing just one check. We offer Master Sponsorship at four levels: Platinum ($20,000), Gold ($10,000), Silver ($7,500) and Bronze ($5,000). Your Master Sponsorship at any level includes: your logo on the NAIOP NJ website (home page slideshow, Master Sponsors banner on all pages), Master Sponsors Directory web page, in the Master Sponsors banner included in all newsletters and event programs, your logo on the Master Sponsors stranding banner (which is displayed in the NAIOP NJ offices and at events), plus listing of sponsors in event promotions and PowerPoint presentations. 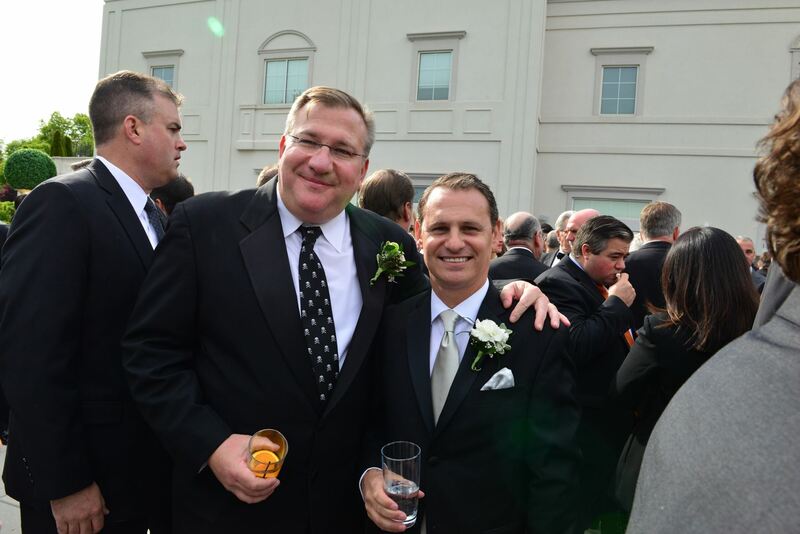 NAIOP New Jersey holds an average of five dinner programs annually. A typical event begins at 5:00 PM with registration, networking & cocktails, followed by dinner with a speaker or panel program. Sponsorships begin at $2,500 and include: your logo included in all event promotion materials; complimentary event registrations; a tabletop for your display at the event (at select events), or the opportunity to distribute materials at the event; a thank you from the podium at the beginning and conclusion of the event; your logo included in the PowerPoint presentation. 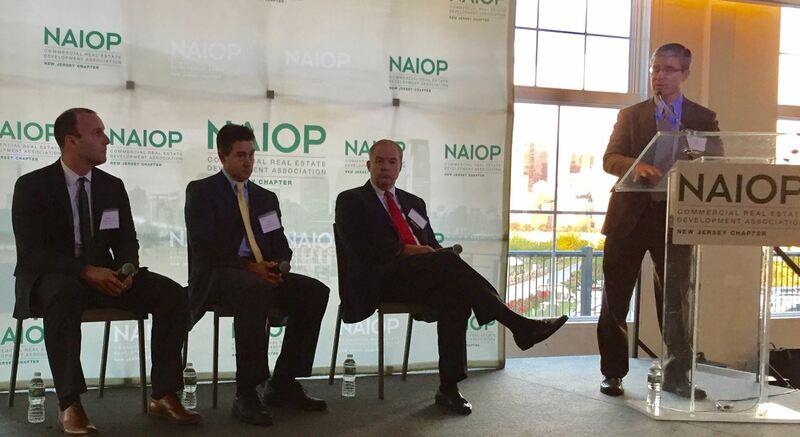 NAIOP New Jersey presents five to six educational programs annually. A typical program begins at 7:45 AM with registration, networking & breakfast, followed by one or more panel presentations. Sponsorships are $500 and include: your logo on the event promotional materials; sponsor listings on the website event page; mention in media releases; complimentary event registrations; a tabletop for your display (select seminars) or the opportunity to distribute materials at the event; a thank you from the podium at the beginning and conclusion of the event; your logo included in the PowerPoint presentation. One of the top networking events of the year, the Gala offers an unparalleled opportunity to reach nearly 800 real estate professionals who attend, as well as the thousands more who receive a copy of the Gala Journal or learn of your sponsorship via our marketing and communications. Gala Grand Sponsors receive special considerations and are recognized in the Gala Journal, on screen throughout the event, on signature signage, and in all marketing and public relations materials. The Gala Journal is your opportunity to honor the recipients of the Commercial real Estate Awards with a lasting congratulatory message in the keepsake program for the event. The Gala Journal is also available on the website. NAIOP Scholars is a program to promote student membership, education, participation and career opportunities. We recognize the importance of educating students...our future leaders...about our industry and welcoming them to our association. 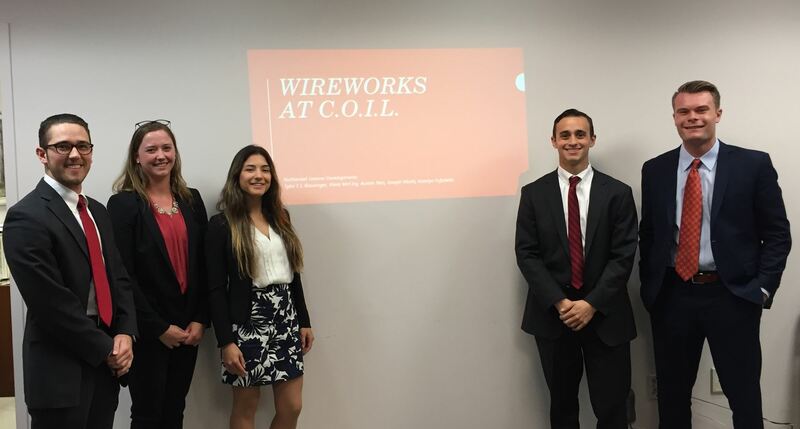 When a student invests $50 in NAIOP New Jersey membership dues, the NAIOP Scholars Program ensures that the cost of attending events is not a barrier to participation. With the generous support of our NAIOP Scholars Patrons ($1200 annually), we are able to underwrite the cost of student participation at many of our programs, giving student members the benefit of our educational seminars and access to the networking opportunities that may lead to careers in our industry. Members who are interested in becoming NAIOP Scholars Patrons: please contact Mike McGuinness or Barbara Morford at 732-729-9900. 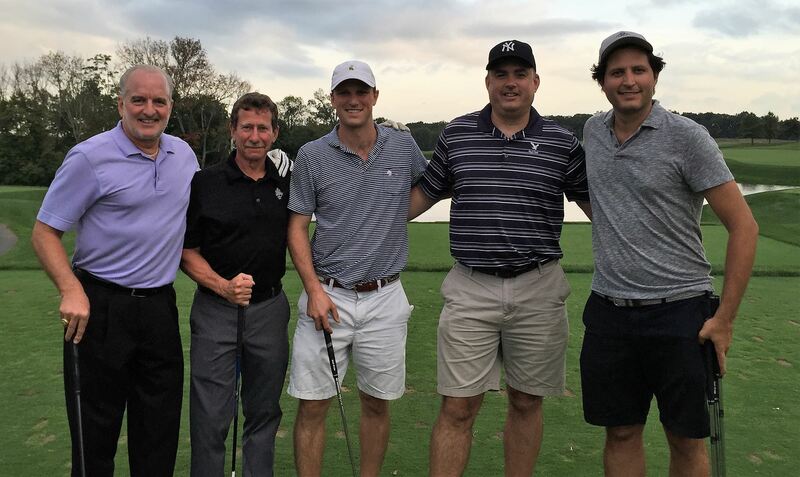 The NAIOP NJ Golf Classic is held in September. With a captive audience of over 200 golfers, plus Golf Clinic participants and Networking Dinner guests, the Golf Classic (which has sold out in under two weeks for the past two years) offers many ways to promote your business. Major Sponsorships include Lunch, Dinner, the 19th Hole Reception, Golf Carts, Course Refreshments, Welcome Gifts (which can include your logo) and more. We also offer exclusive hole sponsorships (Tee & Green). Learn more about the NAIOP NJ Golf Classic. Questions about all sponsorship opportunities should be directed to Donna Laterza (732-729-9900).